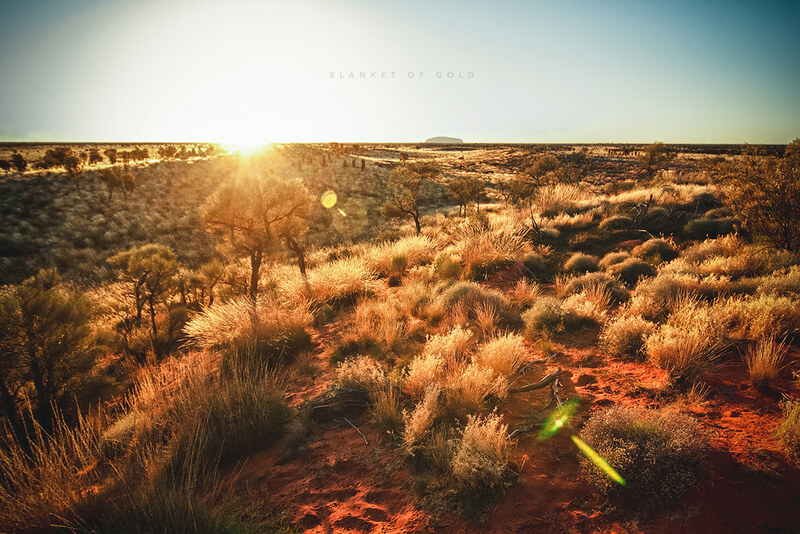 Magnificent first rays of the day streak across the Red Centre with Uluru looming in the distance - making shivering in the subzero morning air waiting for the first rays of the sun to fall upon the Kata Tjutas pay off handsomely. 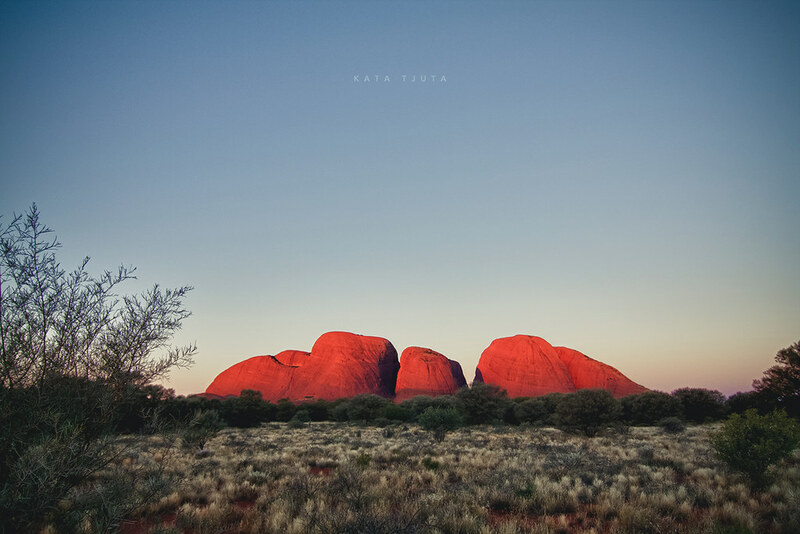 The Kata Tjuta glowing in the last rays of the day. 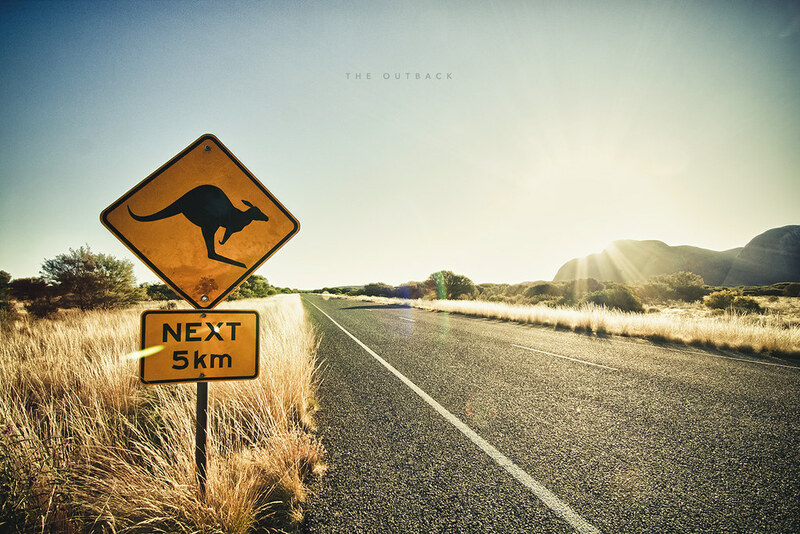 The iconic kangaroo crossing sign with the Kata Tjuta formations in the distance as the morning sun above the Australian Red Centre outback.